We’re now in a new year but people are still talking about the 2017 edition of the Regional Female Calypso Show held as part of Montserrat’s Annual Festival. This was the fifth production of the competition, which began in 2011 by a private group called Euphony Vibes. The Montserrat Arts Council resurrected the event in 2014 and it has grown from one of the least attended to one of the most anticipated shows on the festival calendar. Barbados’ Chrystal Cummings Beckles-Holder came back to attempt a fourth crown. However, she had to contend with several newcomers and a few popular favourites if she were to succeed. Returning for a second year wasÂ Roxanne â€œRoxxyâ€ Webster of Anguilla. Hometown favourite Silvina â€œKhandiâ€ Malone was also representing the island for a third time. New this year to the show were Samantha â€œSammie Câ€ Cummings-Tahir of Antigua & Barbuda, Laura Lisa â€œLaura Lisaâ€ Richardson of Grenada, St. Kitts & Nevisâ€™ Kimara Martin aka Lady Diva, St. Vincent & the Grenadinesâ€™ Lornette Yoland Nedd aka Fya Empress and Karene Asche of Trinidad & Tobago. This was the first year that Trinidad & Tobago and Grenada were in the competition. The three-time monarch had the unenviable task of going first in round one. She sang Claim Barbados Back, which she wrote and arranged. That was followed by Sammie C, Laura Lisa, and Lady Diva who many thought led after her performance. Then came the performance that changed the entire night and took the female calypso show to a level it had not been before. Karene Asche of Trinidad & Tobago sang a five-year-old song, Every Knee Shall Bow, one which many had never heard. She entered the stage to the sounds of an African prayer in a white gown that under the stage lights looked angelic. She then proceeded to belt out verse after verse of a story which declared that it did not matter the heights to which great men and women had attained they would one day need to bow. Montserrat’s crowds aren’t known to be very demonstrative. In fact, any artist will tell you they are a tough crowd to perform before. However, before the end of the song, the audience had physically moved towards the stage and shouted as she sang. The energy of the night changed after that performance and it was that much more difficult for the other calypsonians who followed. Khandi and Roxxy sang songs the audience were familiar with and were warmly appreciated. Fya Empress with Hope is Alive, proved that the competition was not over and there were other contenders for the crown. By the second round, the women all stepped up their performances and all gave notable renditions. Lady Diva’s focus on living cancer free was a beautiful lesson in eating from the ground. She acknowledged that all of the vegetables displayed had been pulled from the grounds of Montserratians and encouraged everyone to eat right. Roxxy and Chrystal sang Who’s Gonna Carry On and Rise respectively, in tribute to the people of the region who were devastated by the September hurricanes. Sammie C’s focus for the night on black empowerment continued. Khandi pulled out an old hit in Frontline, where she donned her fire service uniform and declared she was ready to serve. 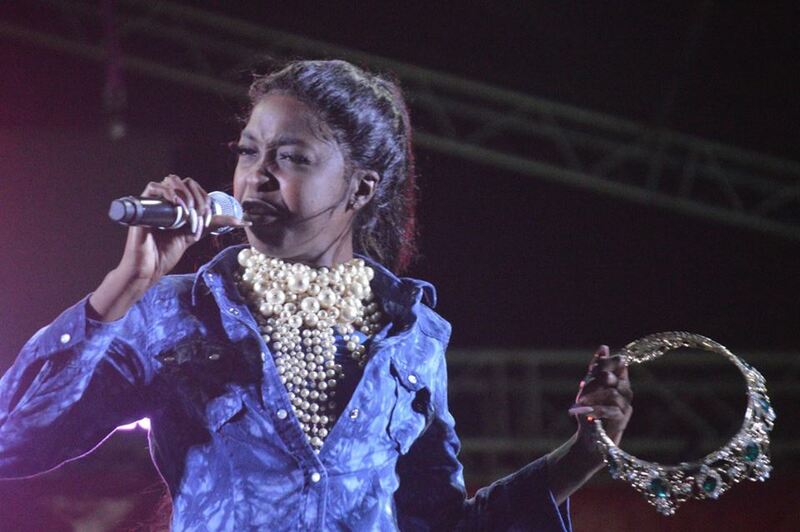 Laura Lisa of Grenada showed she was much more than a calypsonian, with a Dis Carnival, a song which was a clear reminder that soca has its roots firmly in the soil of calypso. Fya Empress’ Guilty was a stunning portrayal of the pain of women and what happens when they have had enough. SheÂ told the story of women who were imprisoned for killing their spouses and that they would do it again for the depth of the pain they suffered or to protect their loved ones. Karene returned with Against All Odds, a song speaking about overcoming although abandoned by her father at five and raised with a single mother. Thankfully, with the use of the judging software Talypso, developed by local company Rovika, the results were released within fifteen minutes. Only the places for the top three were released. The winners were: Karene Asche (Trinidad & Tobago) – winner, Fya Empress (St. Vincent & the Grenadines) – 1st runner-up, and Chrystal Cummings Beckles-Holder (Barbados) – 2nd runner-up. 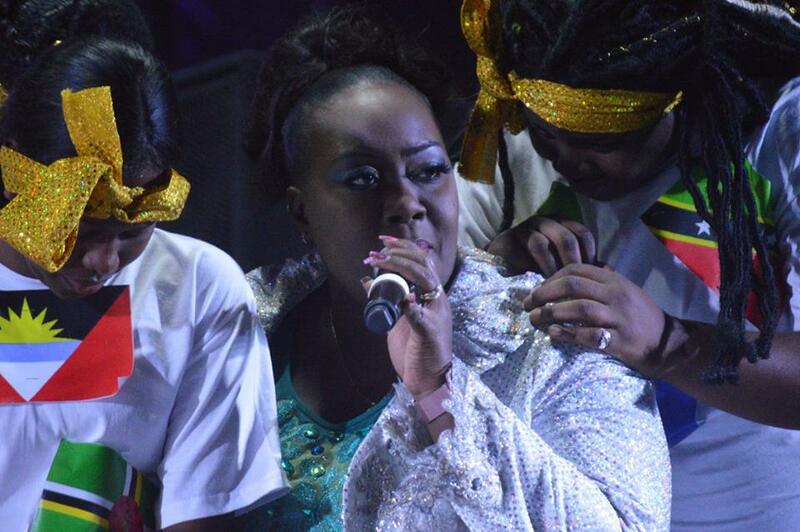 Following the show’s end Chrystal shared that she has been fans of Fya Empress and Karene and so to surrender her title to them was an honour and showed she was in the company of the best. Karene was similarly thankful for the opportunity to participate and said she had come with the intention of winning and was happy she accomplished that. You can find photos and videos of the Regional Female Calypso Show on our Facebook page or you can watch the full playlist on our YouTube channel below.